e-xpress Interactive Software Pvt. Ltd, a leading distributor of video games software in India announces pre-orders for Grand Theft Auto: San Andreas for all Xbox 360 Users. 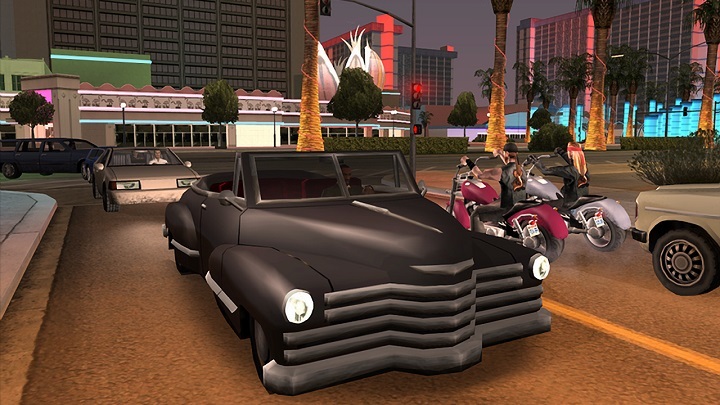 The game play packed, with full of action-adventure is been developed by Rockstar North and is been published by Rockstar Games.The game is priced at ? 999 for Xbox 360. The game is available for pre-order with all other leading online and offline retailers in India. Please watch the below video which gives an Introduction to the original 20-minute prologue video that highlights the action in the days before the story in Grand Theft Auto: San Andreas begins. Grand Theft Auto: San Andreas is a vast open-world covering the state of S an Andreas and its three major cities – Los Santos, San Fierro and Las Venturas – Grand Theft Auto: San Andreas for Xbox 360 features enhanced visual fidelity and over 70 hours of gameplay. The story begins when; five years ago Carl Johnson escaped from the pressures of life in Los Santos, San Andreas, a city tearing itself apart with gang trouble, drugs and corruption. Where filmstars and millionaires do their best to avoid the dealers and gang bangers.